So you want to kill me? Apologies for a lack of blogs for the past 2 days, had a very important interview yesterday so I concentrated on that. I’m back again, was out for most of the day but still got this done. 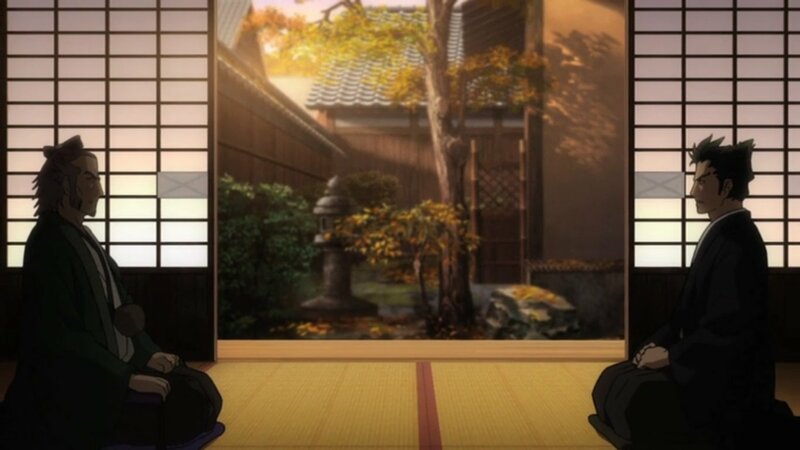 In a plot to kill Serizawa ordered by Aizu, Kondou invites Serizawa to have a drink before Sannan, Hijikata and Souji waits until he’s asleep to ambush him. 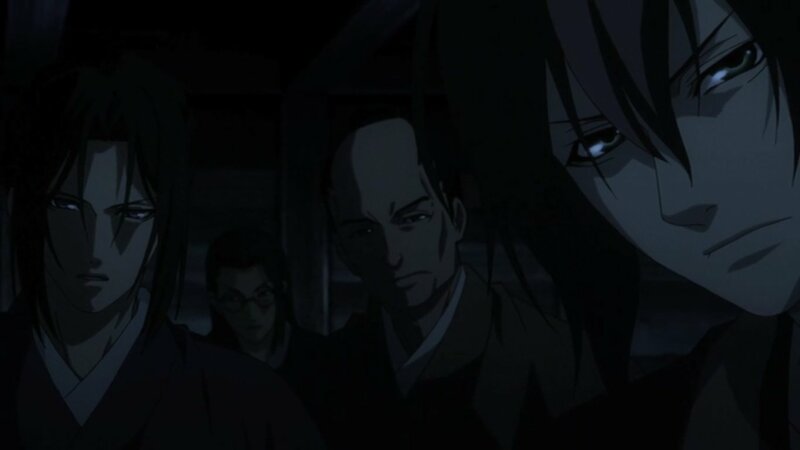 Shinpachi, Heisuke and Ibuki didn’t know the plan and when they find out they all rush back before being stopped by Hajime. Shinpachi decides to fight Hajime as Ibuki runs off. 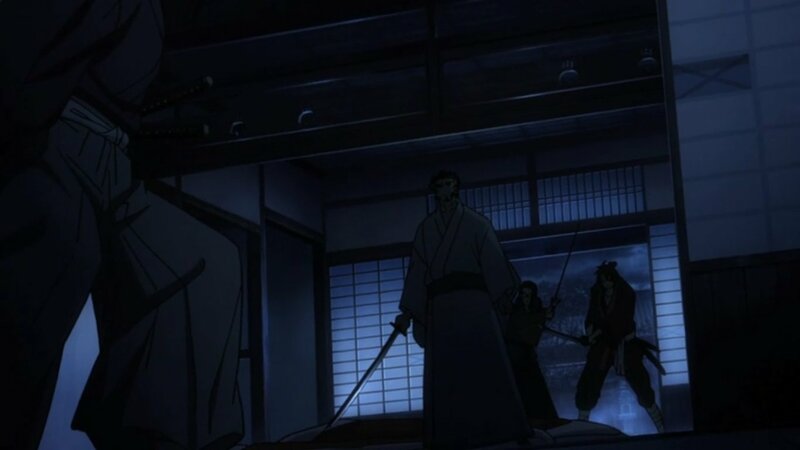 Shinpachi is beaten by Hajime as Hijikata and others surround Serizawa’s house and attack. Ibuki finds his way to Serizawa as he drinks ochimizu. Ibuki runs for his life after Serizawa tells him to live. And in his dying moments Serizawa tells Hijikata he did well. Souji finds Ibuki first and gives him a chance to survive by pushing Ibuki into the nearby river. 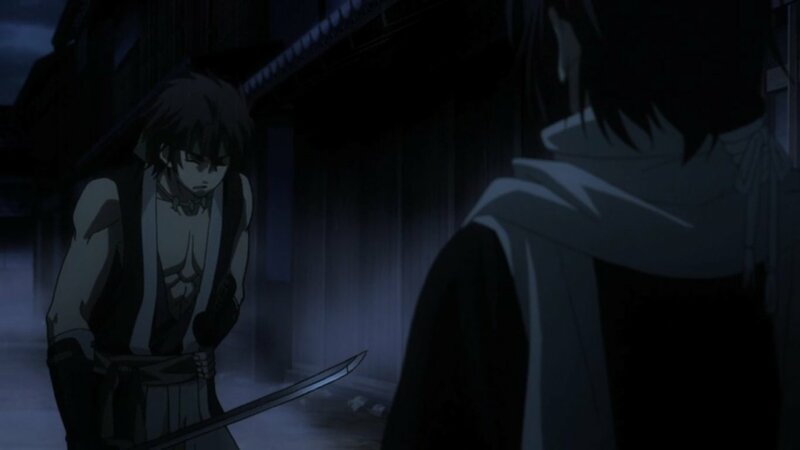 Hijikata decides that Ibuki must’ve died with all the rain so he does not pursue. Ibuki finds himself alive at a calmer part of the river and decides to live on so he might be able to understand how Serizawa felt. A happier ending than I thought. Although that’s only because Ibuki didn’t die. But it was an interesting surprise. Sad to see that Serizawa died, but he was true to himself to the end. Hijikata finally became the person Serizawa wanted him to be. Someone who’s not afraid of killing a fellow comrade to further his own ambitions, can’t really get more demonic than that. But he wasn’t evil enough to go hunt down Ibuki, though when you think about it, what can he possibly do? 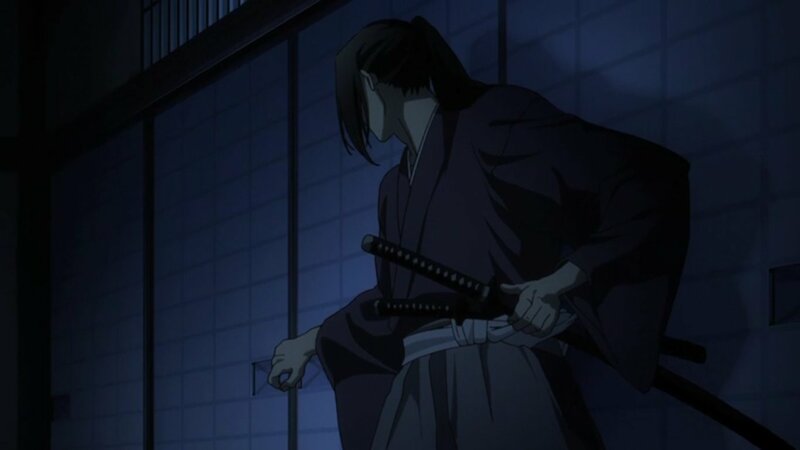 He’s not going to come take revenge on the Shinsengumi, he owes them too much and he understood the situation, or I guess he will do if he keeps living. Speaking of living I’m a little disappointed that he didn’t die. Not that I hate him, but because I think that’s the only way to give his story a ‘proper’ ending. If he lives then his story isn’t finished, and I doubt they’ll make any more episodes for him, just doesn’t leave a satisfying feeling. Not that I like him or anything either. Anyway, I’m glad ochimizu found its way to the ending scene. Shame it wasn’t the way I predicted it to end, but I did get that Serizawa drank ochimizu. Though I don’t think he wanted to kill anyone even after drinking it. Nice to see Ibuki ‘passing the baton’ to Chizuru at the end tying up the series. But as I said his story isn’t over and whilst I don’t think they’ll show anymore of him I do really want to know where he goes on from here. Perhaps he goes into business and becomes a rich business to buy Kosuzu her freedom and they live happily ever after? Or maybe he collapses again from no money or food but on the way home Kosuzu finds him and they then live together. Yeah… I want a happy romantic ending… Shame that girl from the tailor had to die, but she was asking for it. Another thing I was thinking of was Ibuki going off with her as they both would’ve had nowhere to go. But that went out the window. Oh well, I’m not happy that Ibuki survived, he was pretty much useless through the entire series. I would’ve liked it if Serizawa somehow survived, but that would be impossible. I don’t think Ibuki ever showed himself in the original anime did he? If he did he didn’t leave an impression. I don’t really have too much to say about this series overall. It was pretty mediocre, but I don’t think the series itself can be blamed for that. It was a prequel and I never find prequels to be very thrilling, I think it’s mainly because they want to explain things and tie things together rather than focus on an enthralling story. Don’t get me wrong though, this series was indeed interesting. I enjoyed the back story of the Roshigumi and all the character back stories. But plot wise I don’t think it really did much. Ibuki who set this series going ended up pretty much the same as he started, i.e. wanting to live, recently had to leave his last home and wandering around the streets with nothing. He never even got his resolve sorted in the end, he only left because he was forced to or he’d die. The character I enjoyed the most has to be Serizawa, I’ve said before I admire him, and I don’t think that admiration will die. He did what needed to be done until the very end and he knows he’s passed the baton onto the right successor. These series could have been the best series they just did not make them interesting enough… if the main character was ibuki I was expecting him to become a true samurai and become that super main character everyone was expecting…. in my mind I always thought that somehow ibuki would accidentaly drink the water of life and become a super samurai and show off…. These series are stupid the way they ended the series taking the main character out and leaving all of us wondering what happened to him…..
Yeah, I wanted Ibuki to become good too and have a huge showdown thing at the end or something. If this wasn’t a prequel and they let the main character go making us wonder where he went, then that’d be fine as we know he’s alive at least and could be a sequel, but this is a prequel so that effect doesn’t work, we’re now left wondering what was the significance of Ibuki. He really didn’t do anything… Shame really, I agree, this could have been good, at least I liked the original series. The mystery that will soon unfold in the future series (with regards to ibuki) is that he will be an important character. 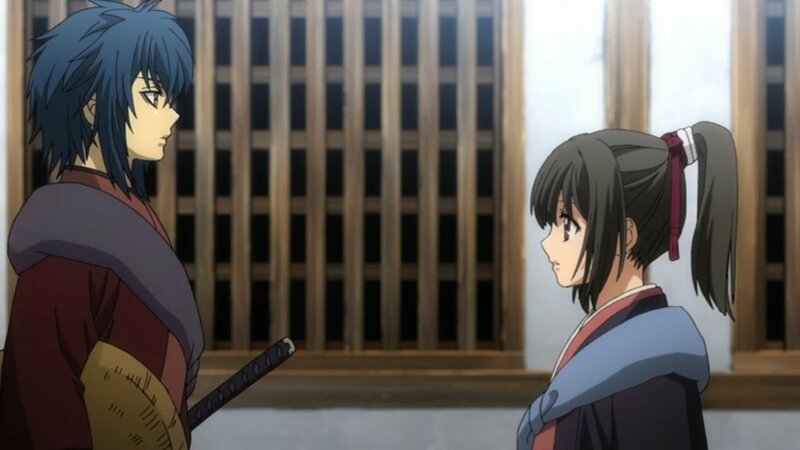 Maybe he will become a leader/political key person in the story which will be an enemy to shinsengumi or as an ally to them..he may be a key person in the series that will change the future of Japan…etc…His story in this prequel shows as an introduction before the artists will introduce him back soon in the original series..